We’ll post some more pictures of the Wellington social housing shortly, but first of all: some news from out of town. Quite a long way out of town in fact (London, actually) but still relevant – especially to the subject of social housing. New(ish) Mayor of London, Boris Johnson, is a famously Conservative chap with a more than slightly silly appearance and demeanour, possibly not thought to be sympathetic to the many poor and down-trodden in his city. His predecessor, Ken Livingston, was notoriously red and green, in a political sense: but it’s true blue Boris who is proving to be the leader for the lower paid, in a most surprising way. Johnson has commissioned a London architectural practice Mae to write a guidebook on sizes and standards for London housing – “The London Design Guide“. It’s out for consultation now for the next 6 months, and no doubt will raise plenty of debate: especially as this will set the standard for future social house building in London. It is interesting that the size of the apartments is far larger than what may have been expected: and the Mayor is already getting some criticism that this will push the cost of providing affordable housing further into the deep blue yonder. So: how does this compare to New Zealand? In Wellington, we have no rules on minimum sizes – Auckland once had the same intent, but due mainly to the appalling response from developers and architects alike, has since implemented a minimum of 35m2 for a Studio and 45m2 for a minimum one bed flat. Notoriously, and I believe shamefully, Wellington is still hiding behind the out-dated mantra of ‘the market knows best’ and has no minimum sizes: you can propose any size dwelling you want. I’d argue that is only going to mandate mediocrity and permit pig-pens. In Wellington, some pretty dodgy developers and their low-ranking architects have proposed rooms as small as 27m2, while in Auckland (before the lock-in) some of the flats were even smaller than 20m2. So how does this compare this to London’s proposed minimum standards? Auckland’s minimum space standards indicate 9.0m2 is adequate for a bedroom. 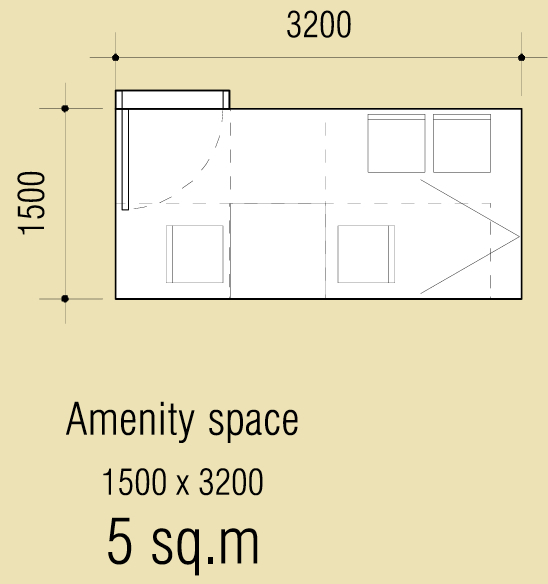 Whereas Auckland allows only 3.0m2 for a bathroom and 11.0 / 15.0 / 24.0m2 for a Living room (Studio / 1 bed / 2 bed). There’s no reason of course that minimum sizes in London should have any effect on minimum sizes in New Zealand, except for the small matter of people generally being the same size the world over. 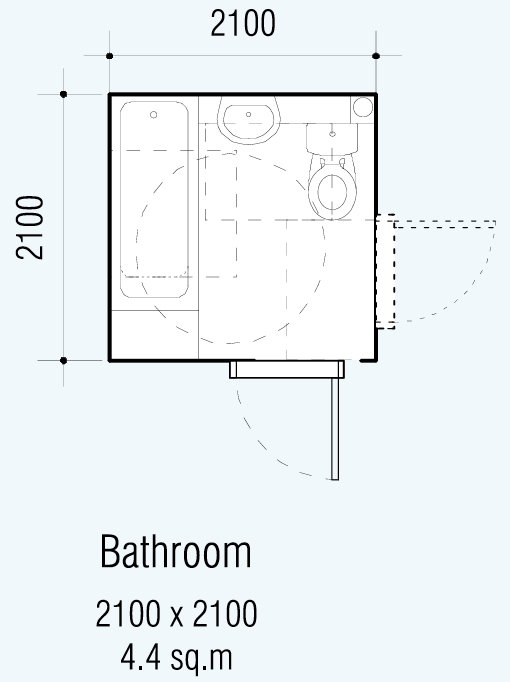 The document also notes that even room heights should be larger than what the Poms (or us, for that matter) are used to: a minimum height of 2.6m rising up to a wonderfully comfortable 3.2m dependent on the room depth if the design involves single aspect rooms. This post is getting to be quite long, but it seems to be important to me: so I’ll go on. In 89 pages there are of course a lot more, including discussion on Noise, Sunlight, Energy/Co2, Water Use, Car and Cycle storage (even though Londoners have far less cars than us Kiwis): but in the mean time let’s just have a look at the kitchen and the outdoor space: certainly puts our local Design Guides to shame. 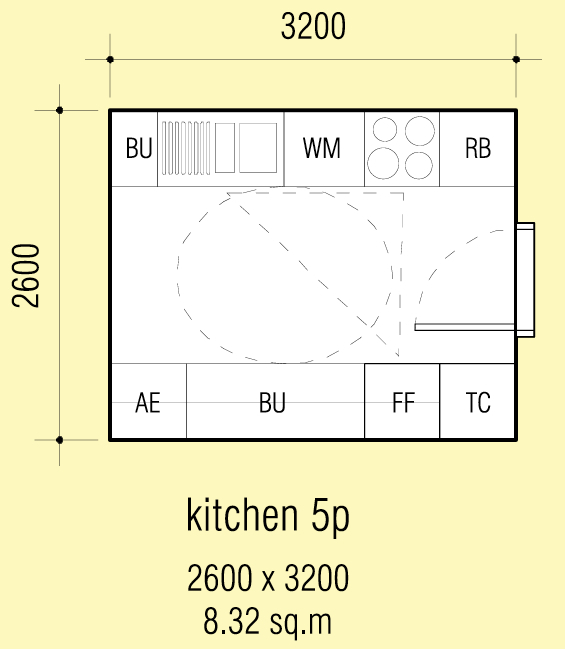 Auckland’s minimum standards indicate minimum sizes of 5.1, 10.8, 13.2m2 for the Kitchen (Studio / 1 bed / 2 bed) whereas even the outdoor area is 5.0m2 in both London and Auckland – and a big fat minimum 0.0m2 for Wellington’s inner city (Wellington stipulates a minimum outdoor area size for Residential zones, but none for the Central area). Let’s hope that these standards get taken seriously and debated at WCC, as well as by the architectural community. Perhaps the first place to start is to look at how the recently announced social housing projects compare. – These are proposed guidelines for “all homes developed with public funding”, not for all housing. That implies they are for social housing, and thus for people with little choice about where they live, who deserve some protection from being shoved into places too small for their particular needs. Should people who have some choice be told that a small place is bad for them, even if they don’t think so themselves? 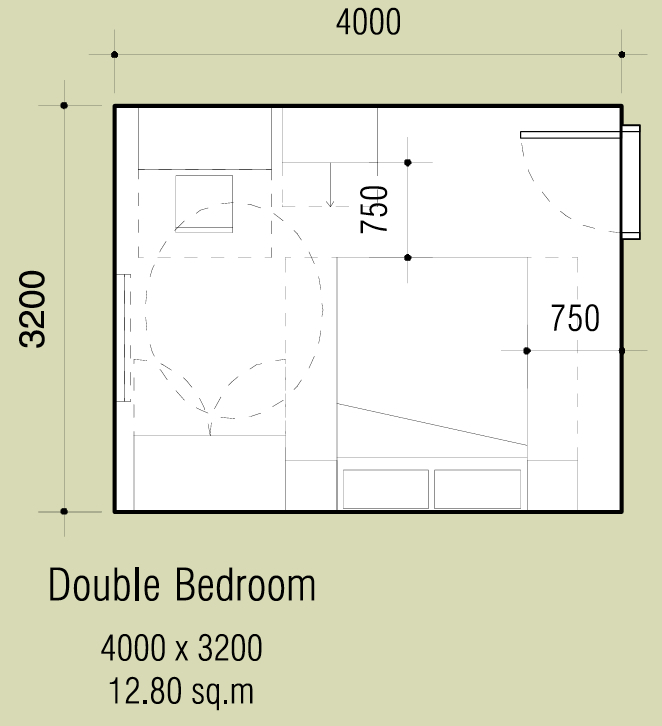 – The smallest option is for “1 bedroom 2 people”. Should people who live alone be able to choose a smaller flat if they want? Going from 50 sq m to a 25 sq m bedsit will obviously reduce one’s amenity, but if one saves $100 or so a week in rent, would that make up for it? – Currently, Wellington’s rules for “residential” amenity cover owner/occupiers, private renters, social housing renters, student hostels, backpackers, apartment hotels and hotels. I’ve stayed in hotel rooms of 12 sq m or so that feel perfectly roomy, and it would seem ridiculous to mandate 50 sq m as the minimum size for a hotel or hostel room. Are there examples of regulations that simply and enforceably maintain distinctions between different kinds of accommodation, to stop developers sneakily turning a “hotel” into aparments after the fact? Mimimus! I thought you might bite at that. My take on the ‘one bedroom, two people’ thing is that that means you may at least want to have a double bed and 2 chairs at your dining table in case a ‘friend’ comes over to stay the night… And who knows, if you get lucky, maybe longer. A true one person studio would really only have room for a single bed and I’m sure even you would not want to be so Minimus ? But I don’t live in a few square metres: I live in several square kilometers. It was interesting to read about Brian Eno’s concept of “the Big Here”: to some people, “here” is defined by their own four walls, but for others, “here” encompasses their whole neighbourhood or the whole city. Homes used to be very small, and “public houses” provided shared living spaces that enabled people to gather outside the narrow boundaries of their “home”. Post-war affluence, suburban sprawl and the emphasis on the nuclear family helped kill that, but now there are a range of pubs, cafes and other spaces where people can gather, and a greater diversity of household types that don’t feel the need for a full kitchen, a bath, a dining table or a place to store family heirlooms. You don’t need 50 sq m for a studio with a queen sized bed, and people in other cultures have been living in much smaller places for generations. Attitude and expectations have a lot to do with it, and they can change. Having said that, design has a lot to do with it too. 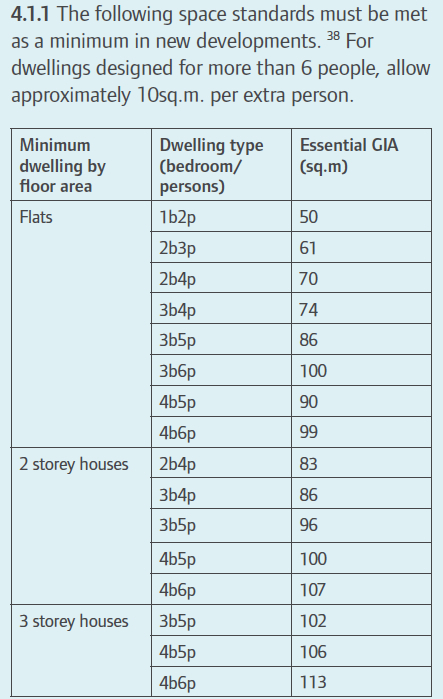 I wouldn’t like to see minimum sizes, but I would like to see thresholds for apartment size, below which it is a Restricted (Discretionary) activity with a design guide. 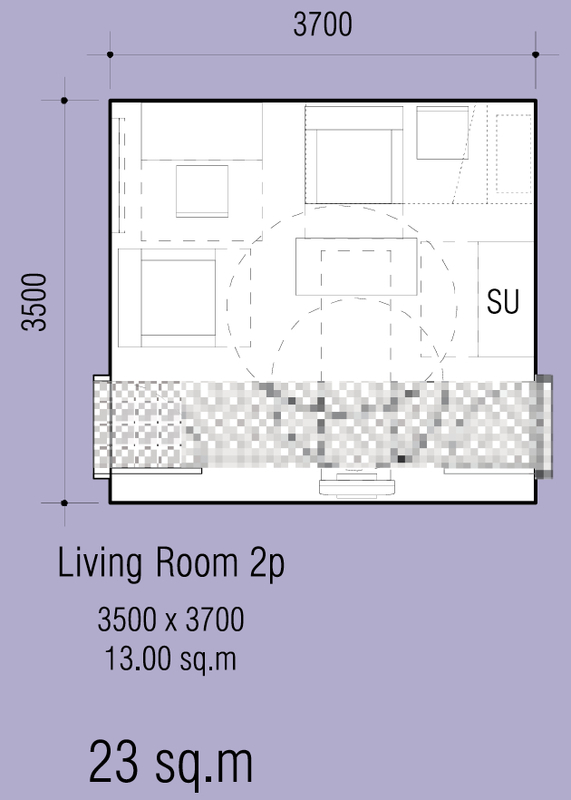 It’s pretty hard to screw up a 50 sq m 1 bedroom apartment (though of course, some manage to). But a 20 sq m studio needs good light, outlook, storage, ceiling height, space planning and shared amenities if it’s going to be liveable. I don’t think you can really confabulate two completely different things: houses for living in and hotel rooms for staying a night or two in. There is a vast world of difference, as well as cost. Hotel rooms, in the basic region of 15-25m2, are perfectly adequate for a single person and a single stay. But I’m trying to discuss places that people will stay, or be happy staying, long term. Korbyn Dallas excepted. i think its worth noting that the WCC are expressedly trying to get rid of the small pokey one bedders that the Housing blocks used to have. Places that had a plethora of pokey bedsits, some as small as 16m2. As far as I understand, the brief from the WCC to the assorted masses of designers was to combine smaller units to make bigger ones. Apparently even homeless immigrants prefer to stay in a decent sized space. Yes, but they’re not turning small one-person flats into large one-person flats. The demographics for social housing has changed: in the 60s they were aimed at single, male workers; now they have to house whole families. Thus, some bedsits are being combined into multi-bedroom family units where feasible, but a lot of bedsits and one-bedders will remain, but they will be upgraded without necessarily getting larger. Currently, the District Plan has no distinction. Also, it’s very hard to stop a building owner converting hotel rooms to flats, and there’s a whole range of “serviced apartments”, “hostels”, “boarding houses” and “medium-term accommodation” that blurs the line. It’s worth pointing out that there are no doubt thousands of adults in Wellington living in bedrooms much smaller than the proposed London “minimum”. Traditional city-fringe villas had plenty of small bedrooms for children (or sometimes servants), and now that they’ve become flats, there are students and young professionals living in those little rooms. Would they prefer bigger rooms? No doubt. Would they pay the extra $30 or so a week for the privilege? Probably not. Plenty of people living in smaller than that? No, I sincerely doubt that. Victorian flats and houses are not all that small. There are houses in Berhampore only 3.6m wide, built as working men cottages that still had more than 50m2 of area even if they were only aimed at single men. Inevitably the households grew to be more than just a couple. My point is that building small house size is just so limiting. And not necessarily that cheap either. Nick, you’re right, we probably should have – but then apart from the DomPost pic I haven’t seen anything on it. Why don’t you scan some of the images and email them into us? Info / snippets always welcome. Mind you though – have you ever seen a Supermarket executed very well? They’re always just varying degrees of mediocre. I’m not entirely convinced that all the present supermarket proposals are going to come off. We’re going to go from the current situation of 1 large supermarket (Chaffers New World) in the city, and 2 smaller metro style stores (NW Willis and Railway); to several stores (4 Square Tory St announced, Basin Reserve and John St proposed, others also rumoured to be on their way. I know that Progressive and FoodStuffs like to keep their war on each other under firm control – but they’ll not be likely to open so many stores that they lose control and lose profit margin.